The Qashgai are the largest and most influential of the Fars province (SW Iran) nomadic groups. The various subtribes all weave rugs, mostly in scatter sizes. 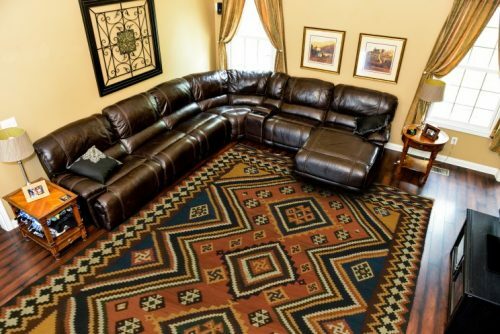 Complex geometric styles are the norm. 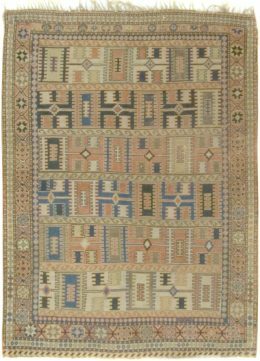 The best antique rugs of the Qashgai have fine weaves, resilient nomadic wool, crisp drawing and visually arresting saturated colors. Wool foundations are standard. Every design motif gets abstracted by the Qashgai weavers: plants and flowers, animals and birds. Qashgai women are as colorful as their rugs, which are a true folk art They are the best of the Fars tribal rugs and probably the best of all antique Persian tribal rugs. 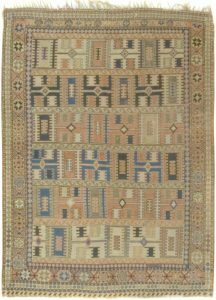 The Qashgai also weave Gabbeh rugs for their own use (see Gabbeh entry for further discussion).